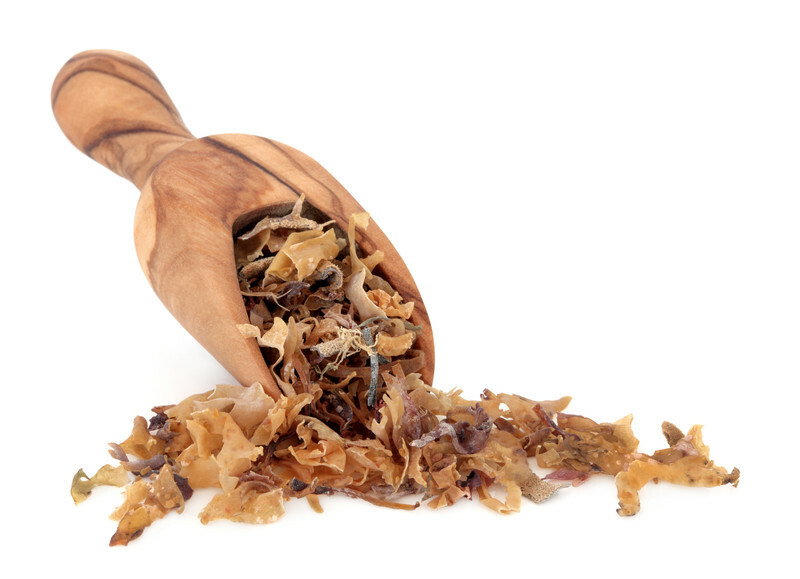 You may have heard about the benefits of seaweed, but is Irish moss on your radar? As our approach to food becomes more globalized, ingredients that were once unusual to us are now commonplace. Take seaweed, for instance. While this edible underwater plant life has been a staple in Asian cuisine for ages (Japan alone uses over twenty species in their cuisine), it’s still relatively new to us. As such, we’re still learning about the different types and how we can incorporate them in our diets. If you’re taking a deep dive into the wonderful world of edible seaweed, you should learn about Irish moss. Irish moss is sometimes called sea moss, but don’t let either name fool you. This is a red cold-water seaweed that thrives in Ireland, where it’s been used as a source of food for centuries. Irish moss rose to prominence on the Emerald Isle in the mid-1800s, when it became a key nutritional supplement during the potato famine. The seaweed has a tough, rubbery texture, which makes it virtually inedible when it’s pulled directly from the sea. Because of this, it’s traditionally simmered and enjoyed as a liquid soup broth. However, modern recipes tend to incorporate its gel as a thickening agent, or even as a vegan substitute for gelatin. Even if you’re not vegan, there are still several beneficial reasons why incorporating Irish moss in your diet is essential. For one thing, it contains several organic compounds that have been shown to help thyroid regulation, such as iodine. This is extremely important, as an unbalanced thyroid can lead to many other health issues. It’s also thought that Irish moss may be a beneficial agent in the fight against cancer. Scientific studies conducted on animal test subjects reveal routine ingestion of the seaweed has a radioprotective effect that’s not unlike chemotherapy. While these tests don’t conclude it can cure cancer, they do surmise that it can be an essential supplement to cancer therapy. Other potential benefits of incorporating Irish moss in your diet include lowering cholesterol, supporting heart health and various anti-inflammatory properties.